Geologist Alex Maltman’s recent article on Decanter’s website, entitled “Busting Wine Terroir Myths: The science of soil and wine taste”, contains much useful information, but several of his claims strike me as misleading. Maltman is a leading authority in the field, and author of the highly regarded Vineyards, Rocks, and Soil: The Wine Lover’s Guide to Geology. As I am not a soil scientist, I have no basis for challenging the scientific claims he makes. My worries have more to do with the sweeping skeptical conclusions he draws and the central role of a straw man argument that does too much work in the article. The main thrust of his argument is that climate, weather, and land topology play a much larger role in shaping the final product than does soil type. This may well be true and the evidence Maltman provides suggests as much. 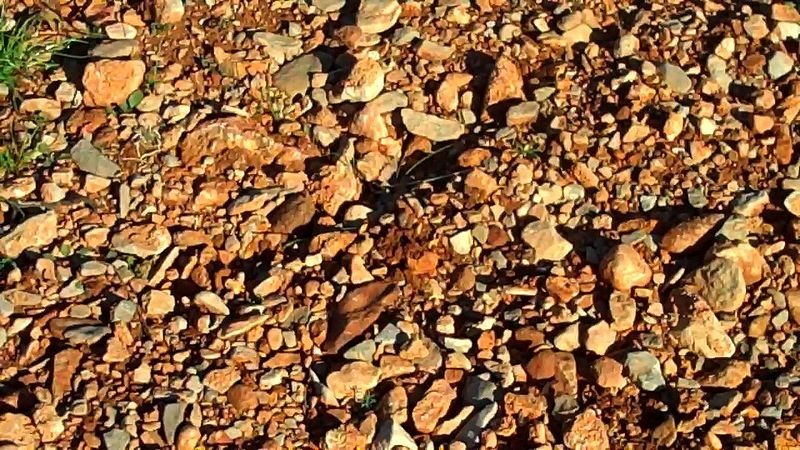 But for most people who believe terroir is central to wine quality, that would not be an utter surprise, and it would not diminish the argument for the importance of terroir. There are many definitions of terroir floating around and some people may mean “soil type” when using the term. But most wine writers and wine professionals include climate, weather, and land topology as central components in the concept of terroir. Maltman agrees with that broad definition but the rhetoric of his article suggests a broader assault on the concept than is warranted. There is a subset of “terroirists” who do focus specifically on soil type as a central input, but the idea of the importance of place conceptually doesn’t require it. If it turns out that weather is the main input, the sense of place would nevertheless be secure. But my main worry is that giant straw figure perched in the middle of the text. Many years ago, wine writers often waxed poetic about mineral flavors in wine by suggesting they were directly transferred from the soil to the wine. As Maltman points out, this idea has been shown to be false. Most of the minerals taken up by the vines have no flavor and in any case there is no mechanism for such a transfer to take place. Some wines do exhibit flavors reminiscent of gravel, flint, wet stone, salinity, etc. But they are not a copy or representation of minerals in the soil. In other words, you’re not literally tasting soil when you sip on your Riesling. Read where? For controversial claims that support sweeping generalizations it would be nice to have a source attribution. Warm rocks radiating heat into the vineyard on cool nights are unlikely to have much effect on the grapes. Whatever mineral uptake there is by the vines, the rootstock rather than the cultivar would matter more. Organic material, including the microbiome, in the soils may play an essential role in explaining properties of the wine. These are all useful points, although that last claim is one that I have seldom heard discussed and seems to contradict the widely held belief that water retention properties of the soil are crucial. But the issue isn’t whether cultivars can grow well in various soils. The issue is whether various soils create different flavor and texture profiles when planted with suitable grapes. The claim that Pinot Noir and Chardonnay have interesting organaleptic properties when grown in limestone is not a casual, unreflective claim but an idea that has been widely accepted by thoughtful, attentive experts making careful observations. Of course, these observations of a correlation by themselves don’t prove a causal connection between soil and wine properties. But they are more than just anecdotes. That well established correlation must be explained or explained away. Perhaps it is all about the weather. But if so that entails rather substantial, widespread, independent errors on the part of competent observers. In summary, Professor Maltman seems to conflate the claim that perhaps terroir functions differently than we thought with the claim that terroir matters less than we thought. It’s worth mentioning another assumption that informs Professor Maltman’s article. He seems to assume that if soil type is important to wine quality, the influence of the soil must be a direct causal influence. But nothing in the concept of terroir requires that assumption. It is conceivable, again without knowing the science, that The influence may be indirect yet nevertheless substantial. It would be interesting to know if variations in these sophisticated mechanisms that balance nutrient uptake are chemical reactions to variations in soil type. If so, might these chemical changes in the vine influence flavor? That would be an indirect influence of the sort I have in mind. There is much about this topic we don’t know, but the fact that we haven’t discovered the mechanism is not by itself sufficient to warrant the conclusion that a correlation is spurious. Complexity and differentiation are the drivers of the wine world. If we cared about neither wine would be a commodity like orange juice, a homogeneous product with 2 or 3 mega-producers battling for competitive position via marketing and price. We know that complexity and differentiation in wine are a function in part of geographical location with climate and weather playing the most significant role. But we also know that grapes harvested from regions with similar weather can produce vastly different wines even when we hold winemaking techniques constant. It seems like the soil matters a great deal in explaining why wines have their unique characteristics. Yet when I ask winemakers what it is about the soil that explains the differences in wine aromas and flavors the answer I usually get is “water and heat retention characteristics”. 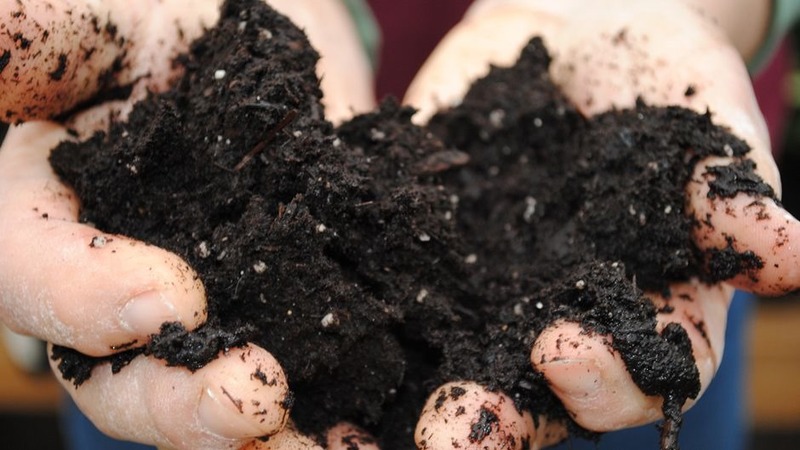 Soil types differ in their capacity to retain water and hold heat. The problem is lots of soil types share water and heat retention characteristics but produce different wines. The mineral composition of the soils probably plays a role but the the science on this is controversial. In short, we still don’t know how wine creates the magical diversity we all love. 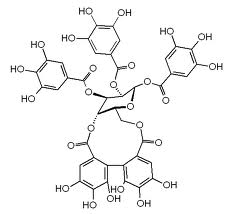 …microorganisms exist that act along the fermentation cycle, modifying existing compounds in juice and must; they can also add other characteristics, some of which could include expressions of minerality. This is exciting research, perhaps inching us closer to unlocking the mystery of wine. Winemakers may soon be competing to see who can create the most robust bacterial soup in their vineyards. Making wine is a bit disreputable. People give up respectable jobs with six-figure incomes to root around in vineyards in the morning and clean out barrels in the afternoon, all to make a beverage that most people treat as an alcohol delivery system. Serving and selling wine is even more disreputable. Somms spend years memorizing wine facts just so they can listen to ignorant, unruly customers rant, and for wages that would disappoint an Uber driver. Wine writers are of course the most disreputable since we mostly work for free writing stuff than no one reads. Oh, and all of us in the wine trade are accused of being snobs so we have to tip-toe around social situations hiding our obsession while pretending to be interested in football or film. From the first sight of the wine bottle to manipulating the wine in your mouth and then swallowing it, there is a ‘tremendous range of sensory, motor and central brain systems involved in a wine tasting’, says Yale neuroscientist Gordon Shepherd. Taken all together, these processes involve more brain activity than listening to music or solving a complicated maths problem, he argues in his book, Neuroenology: How the Brain Creates the Taste of Wine….Molecules in the wine stimulate thousands of taste and odour receptors, according to a report on Shepherd’s book on the NPR website, ‘sending a flavour signal to the brain that triggers massive cognitive computation involving pattern recognition, memory, value judgement, emotion and pleasure’. Unlike a maths problem – which requires a limited amount of brain activity – assessing wine engages multiple sensory systems, including seeing, smelling and tasting. 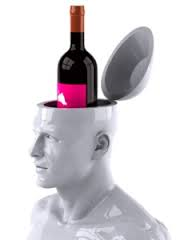 Shepherd’s findings come after a study was reported last September in the Frontiers in Human Neuroscience journal, arguing that Master Sommeliers require so much mental agility to make the grade that the sensory part of their brains becomes physically thicker. I wish I had taken up wine tasting before going to graduate school. Perhaps I would have solved the hard problem of consciousness or the problem of moral knowledge by now. Mr. Shepherd, by the way, does appear to be quite smart: He knows how to flatter his audience. Jancis, like most wine writers today, finds the term useful in describing a range of flavors found in wines—wet stones, struck flint and “gaseous whiffs” for her. I use the term to refer to steely sensations and the smell of crushed rock as well. 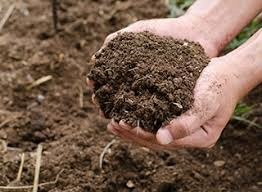 It has been well established by science that what we’re tasting has little if anything to do with minerals in the soil. That’s fine. We’re trying to describe a sensation not discover the underlying cause of the sensation. Well in fact Dr. Smart, yet it does. It helps us describe flavor notes that would otherwise be elusive without the term and its relatives. As long as we aren’t misleading readers by claiming we’re tasting soil minerals transferred to the wine, I don’t see the problem. It’s the scientist’s job to find the causes of wine flavors; its the writer’s job to describe experiences and communicate them. Don’t scientists have enough to do without the mission creep? We will happily leave the science to the scientists. They should leave the poetry to us. This is bizarre but inevitable I suppose given the popularity of reductionism is science. Reductionism is the view that all complex phenomena can be explained by analyzing them into their component parts. Thus, wine is nothing but a particular organization of chemicals. AVA Winery in San Francisco claims that they can recreate any wine simply by analyzing its chemical constituents and combining the appropriate chemicals. 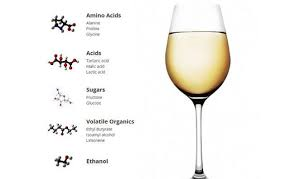 According to their website if you combine the right acids, amino acids, sugar, volatile organics, and ethanol you can create any wine you want. No messy grapes, expensive barrels, or time consuming fermentation. Just chemicals. The owner’s holy grail is to recreate the 1973 Chateau Montelena Chardonnay that won the Judgment of Paris. However, they are currently taking orders for a replica 1992 Dom Perignon Champagne which they will sell you for $50. (The current market price of the real thing is $227) The wine has not yet been made so no one knows how successful this will be. I think it cannot quite be true that they are making an exact replica of a 1992 Dom Perignon since they could not reverse engineer a wine that no longer exists. The current bottles of 1992 Dom have undergone years of bottle aging that have significantly changed their chemical structure. 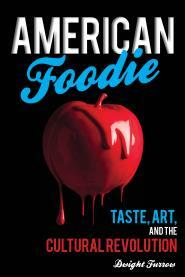 The best they can do is replicate what it tastes like today. But I have some reservations that such a thing is possible. 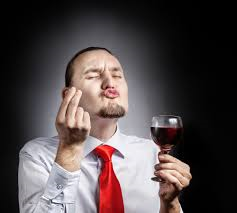 I doubt that today we know enough to determine which of the 1000 compounds in wine contributes to its flavor. Taste tests by independent somms have been thumbs down. In fact, their methods are no different from those used by the food industry to create the snack “foods” at your supermarket, none of which tastes like real food. But there may be reasons to doubt such a thing is even theoretically possible. Some complex systems may have properties that are quite different from the properties of its component parts. They only emerge as the result of the interaction of the components. The crucial question is whether these so called “emergent properties” are fully predictable based on features of the component parts. If not, artificial “wine” will be at best an approximation. But if the features of complex systems are predictable and can therefore be engineered, artificial wine may be in your future. I can’t tell you how many times I’ve tasted a wine and detected a hint of sweetness, only to find out from the winemaker that it was vinified dry with almost no residual sugar. Sessile oak has always been privileged for ageing wine. It contains many of the aromatic molecules such as vanillin and whisky-lactone that imparts the patisserie and coconut smells typical of oak-aged wine, but the discovery of the QTT molecules deepens our understanding of why. Taste is intensified by molecules of aroma, so a sweet taste will ‘taste’ sweeter if it is imprinted with the smell of vanilla. In this way, sessile oak wins on both counts. If I understand this correctly, we perceive sweetness in wine that has been exposed to vanillin or whiskey lactone because we associate vanilla and coconut with sweet foods. But if we associate vanilla and coconut with sweetness because they are usually consumed with sweet foods, doesn’t a similar phenomenon occur with fruit? Ripe fruits are naturally sweet and so we are likely to taste sweetness in a fruity wine even if it is bone dry. 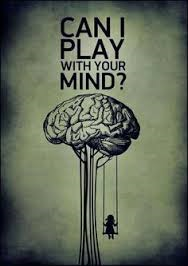 Here is a little mental misdirection for a Thursday. If you drink aged dessert wines you’ve probably noticed that as a wine ages it seems to taste less sweet. Old Tawny ports are not as sweet as a young ruby, German Auslese or French Sauterne lose some of the over sweetness they have when young. Does the aging process reduce sugar levels? Apparently there is no science to answer the question. Support for this idea comes from a couple of recent studies on tomatoes and strawberries, carried out by Linda Bartoshuk and her colleagues at Florida University. They looked at the composition of a range of tomato varieties, testing the levels of sugar and also a group of volatile compounds. They then got a sensory panel to taste these tomatoes, rating them for a range of attributes, including sweetness. They then looked at which compounds contributed to this perception of sweetness: it turned out not to not only be sugar, but also a group of seven volatiles. For example, one variety had 45 g/l of sugar and was given a score of 13 on the perceived sweetness scale, while another had less sugar (just under 40 g/litre) but got a score of 25. It got this big score because it had about twice the level of a group of six volatiles that were correlated strongly with sweetness. It may be that the aging process modifies the sugar molecules just as it seems to modify acid molecules; perhaps perceived sweetness is a combination of both processes. But there are good evolutionary reasons why we might associate fruit aromas with sugar since doing so helped supply nutritional needs when our forbears were traipsing about the East African plains. Once again it appears taste is not just a sensation but an idea. Science is proving that wine snobs are correct (but being snobs we knew that anyway)–the glass matters. By mapping the distribution of alcohol leaving the glass, this research team shows that the proper glass has a significant effect on the availability of aromas. At 13°C, the alcohol concentration in the centre of the wine glass was lower than that around the rim. Wine served at a higher temperature, or from the martini or straight glass, did not exhibit a ring-shaped vapour pattern. ‘This ring phenomenon allows us to enjoy the wine aroma without interference of gaseous ethanol. Accordingly, wine glass shape has a very sophisticated functional design for tasting and enjoying wine,’ explains Mitsubayashi. Winemakers taste their own wine or enlist the help of professional tasters to ensure it has just the right astringency levels. But soon, an electronic “tongue” might make their job a little easier. Scientists have developed a nanosensor — a device that detects molecular interactions at tiny, nanoscale levels — that they say mimics how our tongues experience astringency. The device could allow wineries to monitor and adjust levels throughout the winemaking process rather than rely on error-prone human taste at the end. Is the goal to make sure every wine tastes the same? Don’t we want individual wines to reflect an individual winemaker’s palate? This article in Cosmos magazine is a fascinating and very readable account of new research into the origins of terroir, the regional differences in soils and environment that explain variations in wine flavors. It has traditionally been assumed that compounds in the soil explain those differences, but the new hypothesis gaining support is that various configurations of microbes—yeasts, bacteria and fungi—explain why a Napa Cabernet differs from a Cab from Stellenbosch. The article is a great read except for the headline—Is Winemaking an Art or Science?—and the writer’s repeated implication that perhaps once science discovers the origins of flavors in wine, winemaking will no longer be an art. This seems to assume that something is an art if we don’t understand how it works. Once we understand why something has the characteristics it has, somehow it loses its ability to stimulate the imagination. But this assumption is ridiculous. We now know a lot about light, pigment, and how they interact to form colors, and we’ve known about the geometry of figuration and perspective for centuries. Does that mean painting is no longer an art? What matters is how painters put together paint and line to create something intriguing. Science explains what they do but doesn’t harm their ability to do it. If winemakers learn to manage microbe populations not only will they be better able to protect the expression of terroir in their wines, they will have more tools to creatively shape their product. If they are able to resist the corporate tendency to standardize and homogenize wine flavors to sell to a mass market they will have the control to introduce more differentiation, more subtle distinctions, more original expression, not less. Art is mysterious because of the profound effect beauty has on the imagination, not because artists don’t understand what they’re materials. We know soil influences the taste of wine. Expert tasters can identify the region a wine comes from by identifying taste components, and wine sourced from vineyards with the same weather often has a significantly different flavor profile. But scientists are not sure how soil influences the wine, and the scientific consensus has changed over time. …in the late 1990s, the prevailing wisdom was that the vine’s roots acted as a sort of vacuum pump, sucking up nutrients from the ground, thus giving the wine its distinctive mineral character. In the recent update of his book “Wine Science,” biologist Jamie Goode highlights the process of cation exchange, whereby roots trade hydrogen ions with cations attached to negatively charged soil particles. But recent studies have focused more on the importance of vines’ water retention, saying that constant access to water—but not too much or too little—is the key to producing good wine. They found that the structure of the microbial communities varied widely across different grape growing regions. The data also indicated that there were significant regional patterns of both fungal and bacterial communities represented in Chardonnay must samples. However, the Cabernet Sauvignon samples exhibited strong regional patterns for fungal communities but only weak patterns for bacterial communities. Further tests showed that the bacterial and fungal patterns followed a geographical axis running north-south and roughly parallel to the California coastline, suggesting that microbial patterns are influenced by environmental factors. Taken together, these and other results from the study reveal patterns of regional distributions of the microbial communities across large geographical scales, the study co-authors reported. 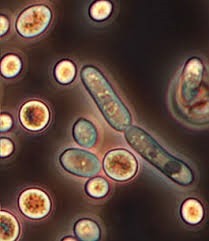 One group of microbes was associated with chardonnay musts from the Napa Valley, another from Central Valley and a third from Sonoma. We can’t infer a cause from a correlation but the correlation is striking enough to be interesting.